A police officer has been shot in Ferguson, Missouri, but his condition is unclear, St Louis police say. 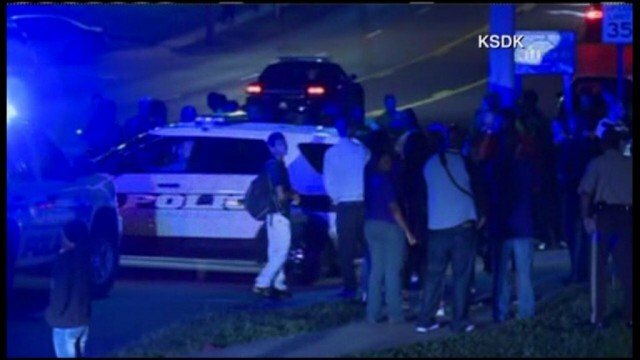 The officer was shot in the arm, according to local broadcaster KSDK, but the circumstances are not known. Ferguson, a suburb of St Louis, has suffered outbreaks of violence since the shooting dead of unarmed black teenager Michael Brown on August 9. Michael Brown, 18, was shot dead by white Police Officer Darren Wilson, leading to protests. St Louis County Police spokesman Brian Schellman told AP news agency that an officer had been shot but he had no further information. There have been violent clashes between police and demonstrators since the shooting of Michael Brown. Last week, police in Ferguson said they would not tolerate further violence after protesters looted shops and harassed officers. Also last week, a street memorial where Michael Brown was shot was burned down in suspicious circumstances. A St Louis grand jury has yet to decide whether or not to charge Darren Wilson with Michael Brown’s shooting. It is unclear when they will make a decision. A separate investigation by the US justice department is continuing.